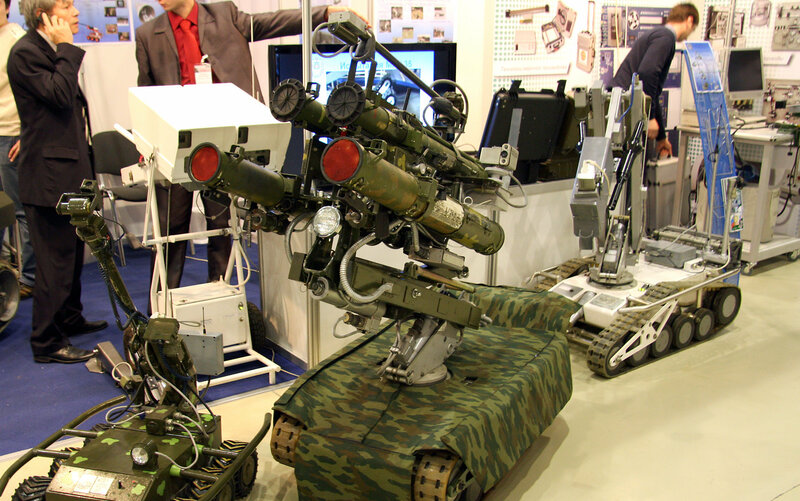 Its "companion" is the track-based Uran-14 which is an obstacle-breeching and fire-fighting robot. 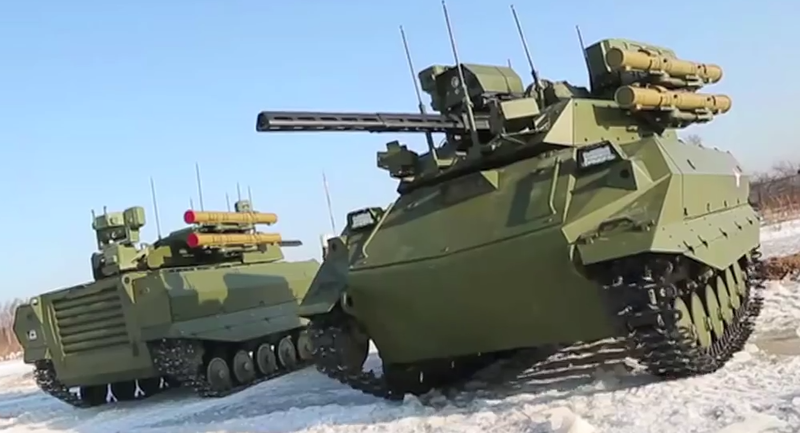 As for "heavyweights," Russian engineers have crafted the one-of-a-kind Uran-9 robotic tank armed with a machine gun, a 30mm cannon that fires 350 to 400 rounds per minute, a coaxial 7.62mm machine gun and a battery of the Ataka supersonic guided missiles. It is equipped with threat detection capabilities, including a laser warning system, as well as target detection, identification and tracking gear. In this video you can see effective teamwork between three vehicles: a helicopter (not captured) provides reconnaissance for a Nerechta-based robotic command center which in its turn controls the "fighter" robot. Russian military specialists envisage the future combat to be underpinned by the close cooperation between humans and robots. If a soldier sees a target which he cannot eliminate himself, he pushes a button calling for a robot to attack immediately. The principle is, a command center continuously gathers and processes data flowing from both the manpower and robots and derives an optimal action. 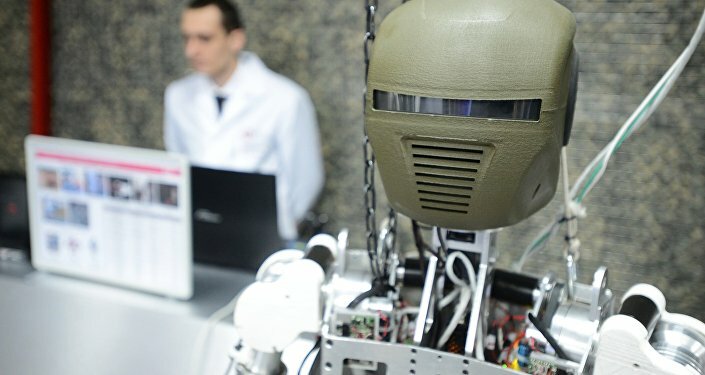 In October, Russia introduced the "Unicum" software which endows up to 10 machines with an autonomous ability of self-organization: robots will be able to appropriate duties, select a leader, substitute damaged units, come into advantageous positions, search for targets and strike them in an automatic mode.